In case you all haven’t checked out Sportscenter the last day or so, Floyd Mayweather Jr. was sentenced to a whopping 90 days in jail (which will likely be reduced) for a “case stemmed from a hair-pulling, punching and arm-twisting argument with his ex-girlfriend Josie Harris while two of their children watched in September 2010.” Not sure how arm-twisting works into this equation, but can we take a second and ask how one of the best boxers of all time got into a punching match with his wife (in front of his kids) and only got 90 days? His hands have to be lethal weapons, so there must be a bit more to this story if he only received this kind of sentence. 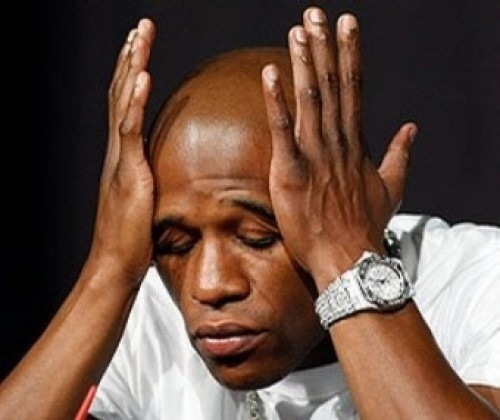 Besides the fact that this is a terrible incident, and one of many on Floyd’s rap-sheet, this could have a serious impact on the legendary – but unlikely to happen – fight between Manny P and Mayweather. If Mayweather is jailed for 90 days, this would cut into his mandatory 8-week training time he takes before a fight. If this undisclosed opponent (set to battle Floyd on May 5th of next year) is in fact Manny Pacquiao, you better believe that Mayweather will want to take some significant time to train. Regardless, Mayweather’s actions may have jeopardized the most important fights of his career, and potentially the most anticipated bouts since Ali and Frazier. This entry was posted in Everything Else and tagged jail, Mayweather by nolankartholl. Bookmark the permalink.